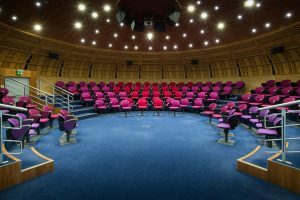 Do you need to book presentation space? Do you need to impress guests or colleagues? 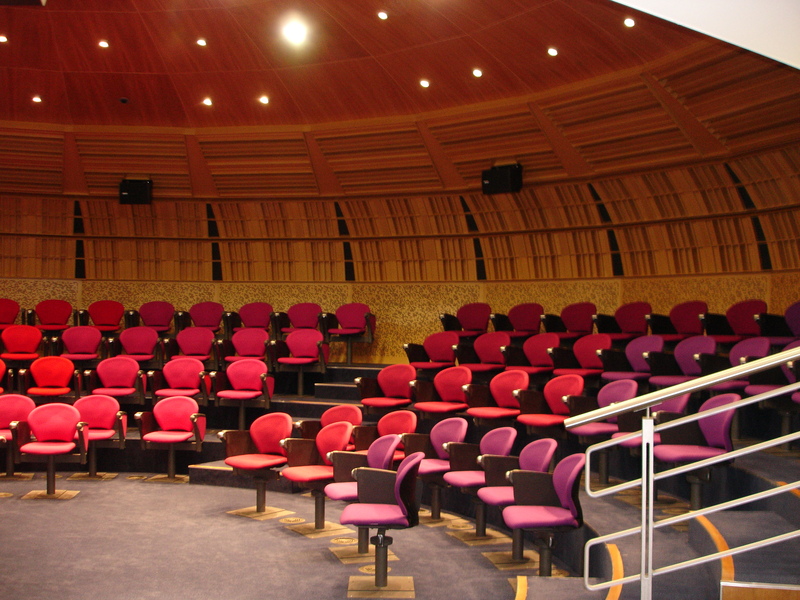 Do you need an auditorium big enough to accommodate up to 120 people? 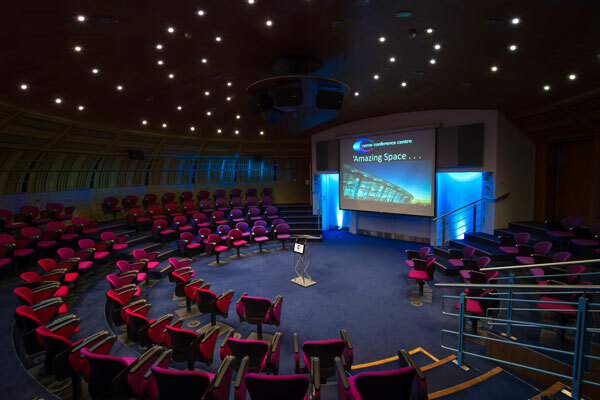 Would hiring a room in East London’s most impressive presentation venue make a lasting impact on your guests? 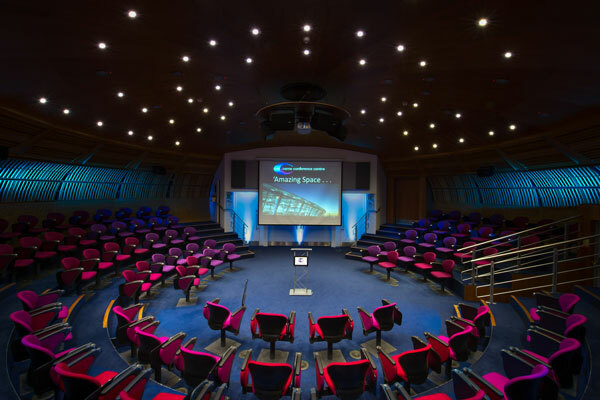 If the answer is yes, The POD Theatre at CEME Conference Centre is the presentation space for you. It’s fair to say that the CEME Conference Pod is East London’s most exciting and impressive presentation space. 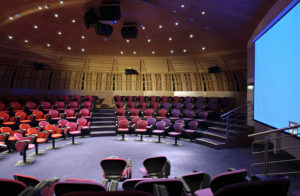 The POD Theatre is a unique tailor-made conference auditorium with outstanding acoustics, tiered seating, individual writing tablets, excellent visuals and a warm and calming décor throughout. 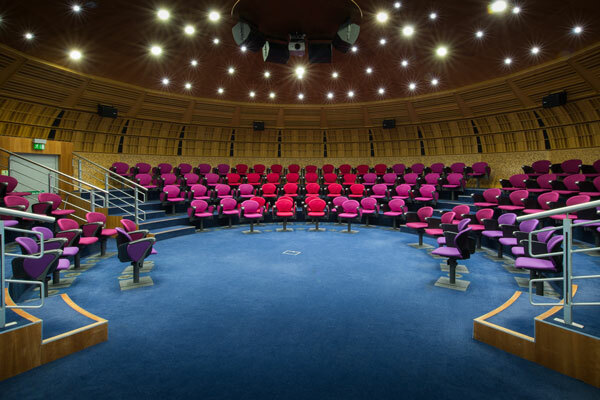 This 120 seat theatre is the perfect space for presentations, conferences, lectures, car and product launches with an inbuilt projection system, PA and integral sound and lighting system – all of which can be operated with a mobile control panel. 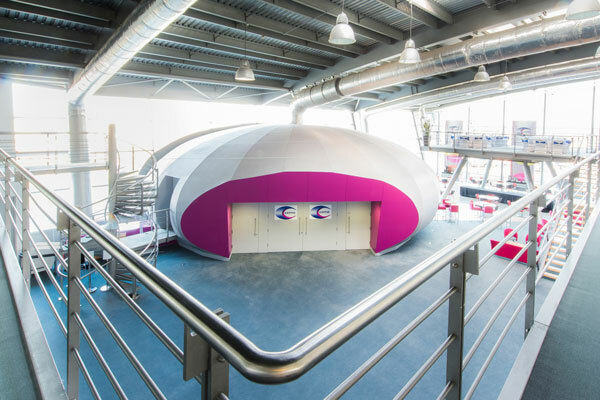 The POD is highly valued by meeting organisers and long remembered by delegates due to the amazing design and impact the POD presents. 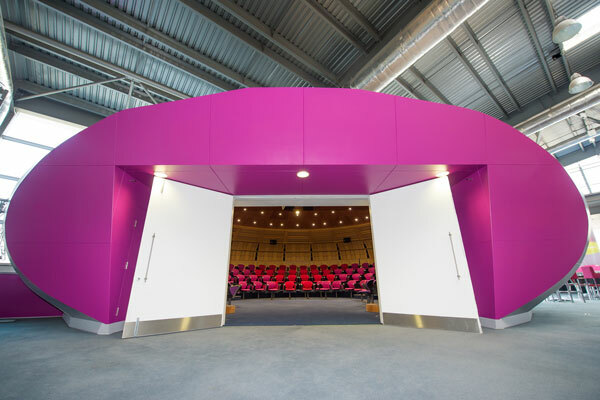 POD Theatre includes the use of the circulation area for breakout space, receptions or networking. Want to impress your guests with some delicious food? Whether you are after tea, coffee and biscuits or a three course sit down meal with champagne, we have a menu for you. CEME’s philosophy is to offer a variety of fresh, tasty, and healthy options using the highest quality of ingredients, prepared fresh on site each day. From street food to sandwiches, cooked breakfasts to afternoon tea, the hardest thing you have to do is choose what to order! We also cater for vegetarians, vegans, gluten-free and special dietary requirements too. NEW: We have now introduced our new Alert Food menu. Designed to give you a natural energy boost to keep concentration levels high, alert food offers a natural, healthy pick-me-up just when you need it most. Check out our full range of hospitality menus. Working with you, every step of the way, our experienced, award winning CEME events team will help your presentation be the best it can be. From your initial enquiry right up to the end of your event, our courteous and professional staff will be on hand to ensure the smooth running of your day. Whether it is from room set up, to refreshments being served on time, our team take meticulous care to attend to your every detail. You also have peace of mind of knowing our on-site technicians are on hand to support your AV requirements. So get in touch today to hire The POD Threatre: Tel: 020 8596 5151, Email: events@ceme.co.uk or use our contact us form. And if the POD Theatre isn’t quite for you, you can also explore our other rooms.